Sam Christie's video for The Miller, Track 7 on The Union. Within The Union are voices both near and distant, still and shivering, fragments of memories held close that speak of a dense, glowing and yet often haunted landscape. It is a distinctly American space, one with rivers cutting through mountains on their way to deserts, of mesas eroding into dust, of skyscrapers. Of electricity. One also journeys inward, into an interior space that can reveal what happens when thought ceases and the unconscious ferments into sound. The Union's multitude of voices -- speaking through a variety of layered guitars -- repeat and entwine, weaving threads of a present now engorged with the past. Centering the album is a suite of five acoustic pieces where multiple guitars weave in and out of each other to form melodic thickets. At either end of The Union are pieces where electric guitars careen, drone, sing, ascend at times into the unstable howls that precede silence. Both lyrical and confounding, The Union reflects the solitary pursuit of conjuring the voices of one's past and fusing them into a fertile whole. 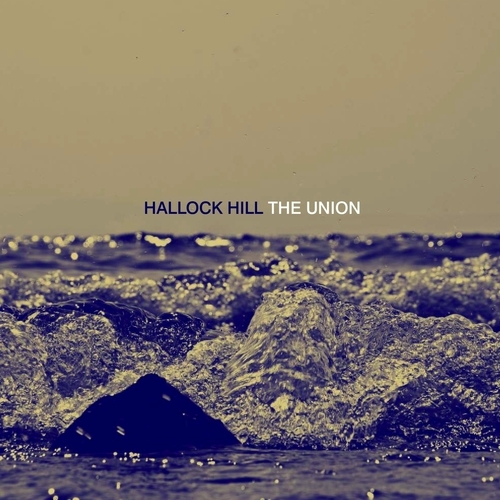 Hallock Hill is the musical nom de plume of Tom Lecky: an homage to the rural country where he was born in upstate New York. Tom is now a 20 year resident of New York City and its environs.